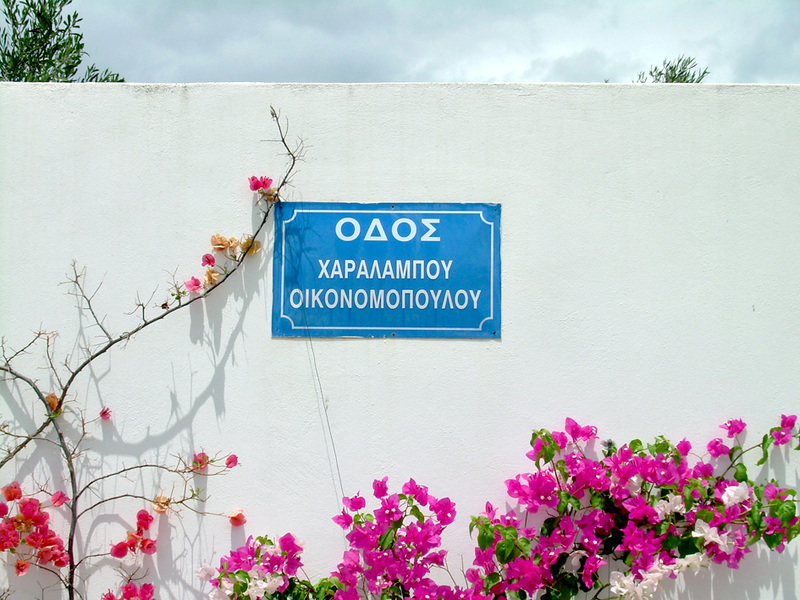 Some years ago we decided to check for vacation houses in Greece. There were so many to choose from. We wanted to spend our time among the Greek and outside the tourist areas. 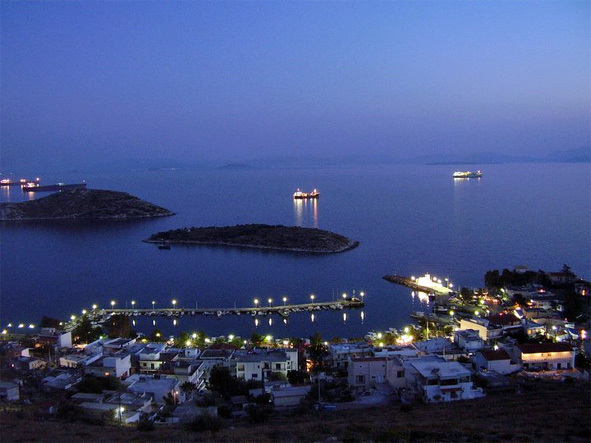 We chose finally Megara, a town some 70 kilometers west from Athens. We had never heard of Megara, which added excitement to our new journey. 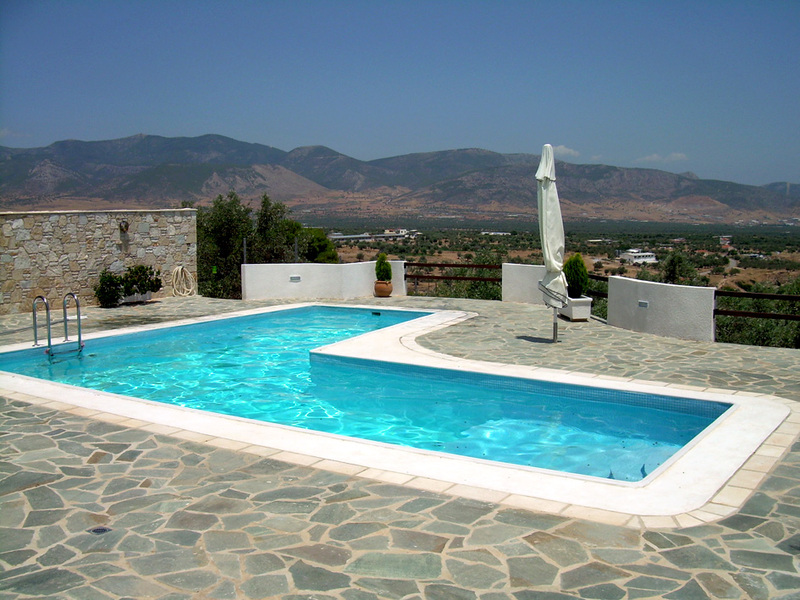 With our small budget we managed to find a very nice house with a pool, an olive tree yard and a great view from the top of a hill. I was surprised. We had luck finding such a house. It was a bit above our budget, but after seeing pictures of the place, we just had to book it. The hills outside Megara (population 23 000) are mostly occupied by sheep and goats, so to find a vacation house there, was quite a surprise. The house was though only available for 9 days. We wanted to stay 14 days in Greece. 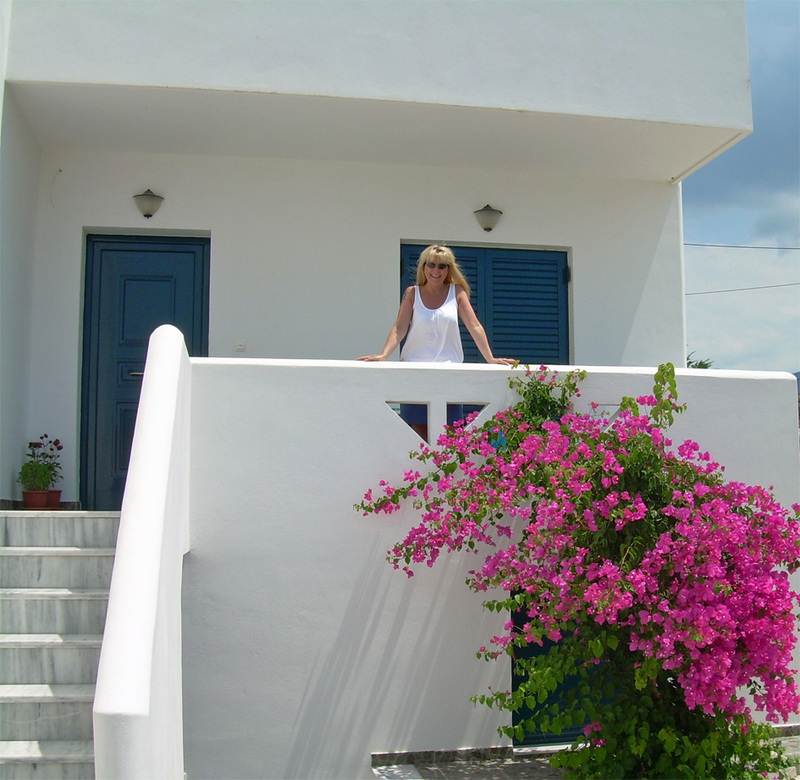 The owner of the Megara house was very kind and arranged another house for us for the remaining 5 days. It was not actually a house, it was a terraced house, but that did not matter. This second place situated in Kato Alepochori, some 20 kilometers north from Megara. It was actually nice, to get to see two different places. 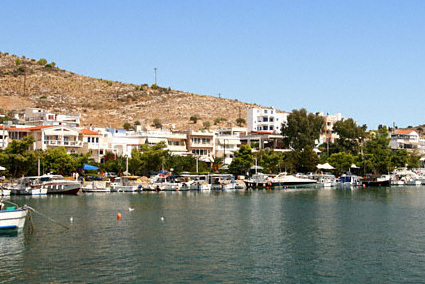 Kato Alepochori is a small, nice town by the Gulf of Corinth. After landing at the International Airport of Athens, we rented a car and drove towards west. The highway took us almost all the way to Megara. During the drive we saw Athens and the historical sites up on the hills. The sites are lit at night so you can enjoy them also when it is dark. 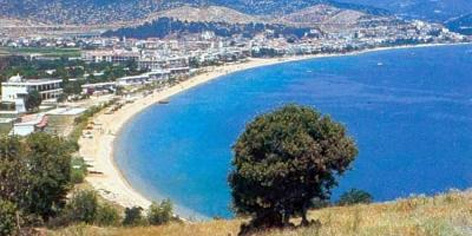 The highway took us via Elefsina and Mandra to Nea Peramos and finally to Megara, which is located very close to the sea. Megara is part of the Attica region, which starts near Athens. After Megara, towards west, the next region starts. It is called Peloponnese and is a peninsula and a geographic region at the same time. Nea Peramos, which we saw on our way to the house, locates at the bay of Eleftherai (Gulf of Kavala). The blue sea, the beautiful beaches and the fantastic white houses with red roofs are certainly views to enjoy. The area is also well-liked by archaeologists, as many ancient discoveries have been made here. During high-season Nea Peramos attracts many tourists. Otherwise it is a nice, peaceful town. We arrived at our vacation house late in the evening. It was very dark. We had taken the evening flight from Helsinki to Athens. In the darkness we did not see how the house really look liked or how big the yard was. The next morning we decided to swim before breakfast. What a fabulous surprise it was to see that the house was big, white and beautiful. The design of it was awesome. A big terrace at the top floor and another one next to the swimming area. The pool was large and fabulous, just like the view down the hill. 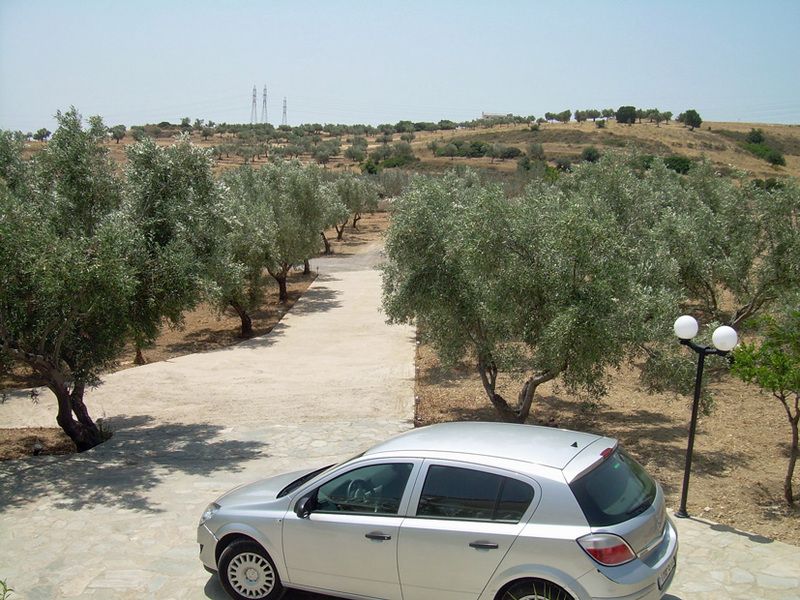 The yard had about 100 olive trees and many fruit trees and rosebushes. The view was amazing. The pool area had a nice terrace and patio, with a big dining table, chairs, a huge white sofa with cushions and some nice well chosen decoration. Outside there was a big barbeque. Almost everything was white and beige. And as the sun was shining brightly, the colours shimmered even more. We also noticed that the heat from last night had not settled. It was 39°C outside. That is hot for a Finn! After breakfast we walked in the yard and enjoyed the great views from the terrace and the pool area. The countryside in Greece is awesome, with all the green hills, olive trees, the tractors, the sheep and the sheep dogs. After visiting a few restaurants in Megara, we decided to drive to the nearby beach village Pachi. It is a small town by the sea. It is renowned for the beautiful sea view and the many great fish restaurants. Local people drive to Pachi often. And many drive an hour to visit this awesome village. Only 3 000 people live here. It took us just 10 minutes to drive from the house down to Pachi. This is one of the most beautiful places I have seen in the evening and enjoyed dinner at. You drive into Pachi along its only main road. Best to park the car some hundred meters from the first fish taverns, as the small center of the village fills up with cars of the locals quite quickly after eight in the evening. And you might not reach your car, if you do not know who has parked behind it, beside it and in front of it. The fish taverns and restaurants are fabulous. We tried the one our house owner had recommended. (I think it was a friend who owned the place). No one else was at this restaurant but we decided to try it anyway. The owner did not speak English, so he took us to the kitchen where we could pick our own fish and sea food. This is excellent service – not experienced back home in Finland. The dinner was quite good but the price was too high compared to the food and the prices in some nearby restaurants. Next time we ate at another place and the food was excellent. The prices were not very high. We had some tasty grilled fish, big grilled prawns and some squid and cuttlefish with tasty Greek salad (Horiatiki in Greek). It was quite a thrill to sit at the terrace by the sea, watching small fish swim and dance in the sea, enjoying the magnificent sunset and the different colours in the sky and sun rays glitter on the sea. It was hot, above 35°C, though it was past nine in the evening. The cool breeze from the sea was welcome. Kalimera (Good day), Kalispera (Good evening), Poso kani afto (How much does this cost), Kalo (Good), Efharisto (Thank you), Ena trapezi ja dhio (A table for two), Bira (Beer), Horjatiki salata (Greek salad), Metaliko nero (Mineral water) and Aspro krasi (White wine). Also these you might find helpful: vodhino (beef), hirino (pork), arni (sheep), arnaki ghalaktos (lamb), psari (fish), kavuri (crab), midhia (clam), gharides (shrimp), annguri (cucumber), kremidhia (onion), domata (tomato), portokali (orange), fraula (strawberry) and psomi (bread). Tha ithela na pliroso brings you the bill. One day I decided to go shopping in Megara. I had seen a Miu Miu store and was sure to find something nice in there. As the store had a summer sale, I knew I might afford a few dresses or shirts. My husband took pictures of the city. One photo was just awesome. It shows you what Greece is. 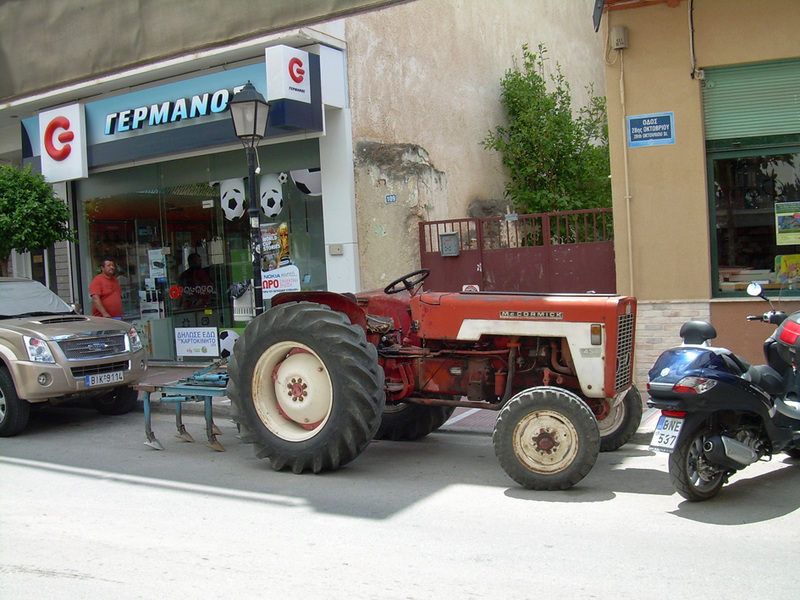 A scooter, an SUV and an old tractor in the same picture, in the city. My husband had visited Spain and Costa Del Sol many times as his parents had a house in Torremolinos. I myself had only visited Mallorca and the Canary Islands, so the mainland was still on my wish list. This was the reason we chose Spain as our spring break target some years ago. We flew to Malaga and rented a car. Driving late at night is always an experience, as you can see all the city lights glimmering in the dark. 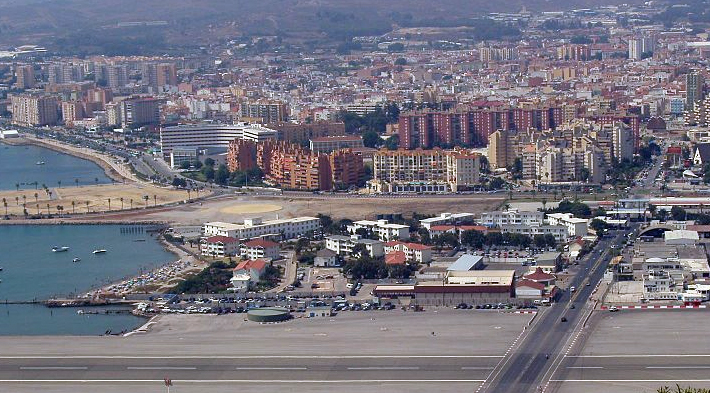 We drove to Estepona, which is about 70 kilometers west from the Malaga airport. We passed Churriana, Benalmadena, Mijas, Fuengirola, Marbella and San Pedro. They are all cities worth seeing, depending on what you are looking for during your holiday. Hotel Diana Park was our choice during this trip, as it situated very close to the A-7. We would drive around every day, so being close to a major highway was preferable. The hotel was actually quite nice though it had only three stars. 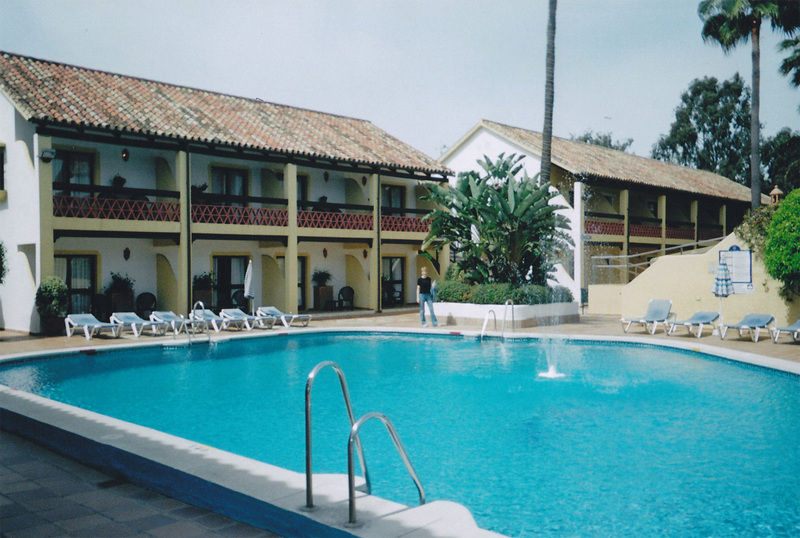 This neat budget hotel, with an awesome pool, is situated at Carretera De Cadiz Km 168, Estepona, Spain. It was Easter weekend and the weather was great. After Finland’s cold and snowy winter, Spain’s 16-24 C was awesome weather for us. The sun was shining every day, though not every hour. The day we drove to Ronda, it was partly cloudy and some light rain occurred for one hour, but that did not matter at all. We decided to visit Gibraltar and drove towards La Linea (de la Conception). It has a history of being the place where many illegal immigrants enter Spain. La Línea is a major supplier of fruit and vegetables to Gibraltar; other industries include the manufacture of cork, liquor, and fish paste. It also had an important military garrison with substantial fortifications and a port. La Línea has 14 kilometers of beaches, named La Alcaidesa, Santa Barbara, El Burgo Sobrevela, Portichuelos and Torrenueva. Some have been are awarded each year a blue flag by the Coastal European Authorities. 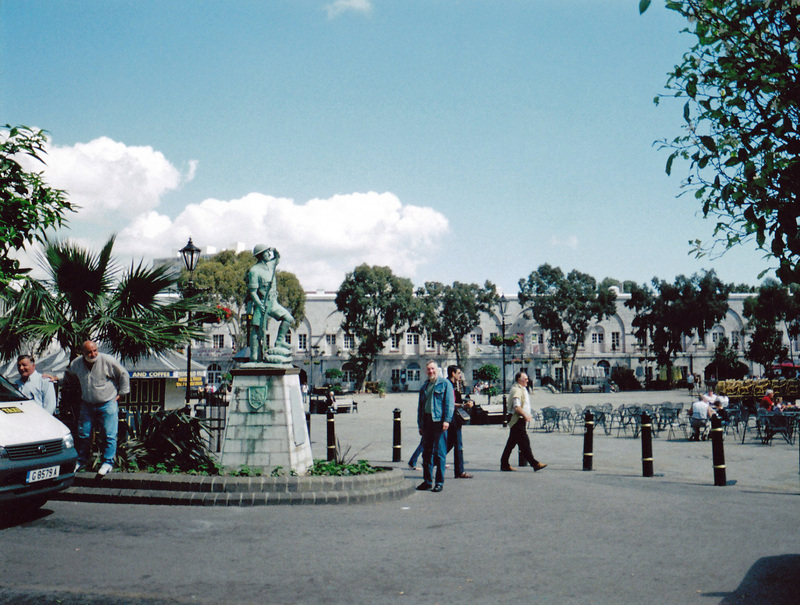 La Línea made headlines under Araujo’s Socialist predecessors in the 1980s and 1990s, when it was dubbed a “ciudad sin ley” or lawless city. At the time, drug dealers, smugglers and other criminals made their living in the Andalusian border town. Gibraltar is seen from far away. But it is such a small place – only 6,8 square kilometers and a population of around 30 000. Half of the area is protected area. 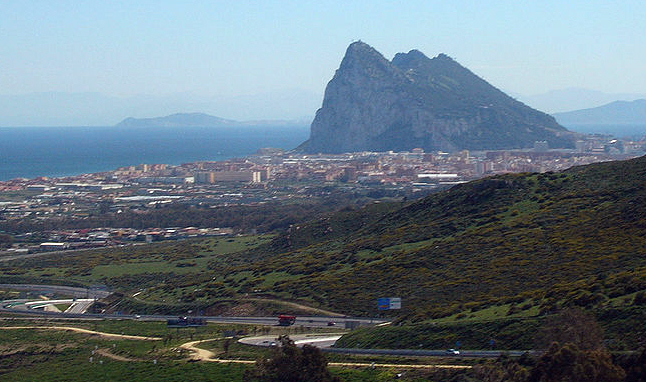 Gibraltar is known for the Rock of Gibraltar, which is 426 meters high. The World War II tunnels, the Cable Cars, the Gibraltar Botanic Museum and the Gibraltar Museum are some interesting places to visit during your days in Gibraltar. The subtropical Mediterranean climate with mild winters and warm summers attracts tourists from all over the world. If museums are not what you look for, you can spend the day shopping and visiting different cafeterias, bars and restaurants. The Official Gibraltar Tourist Board Website tells you in detail what to do and enjoy while staying in Gibraltar. It took us about one hour to drive up the mountains from our hotel to Ronda. Huge green hills surrounded us during the drive and the views were fabulous. 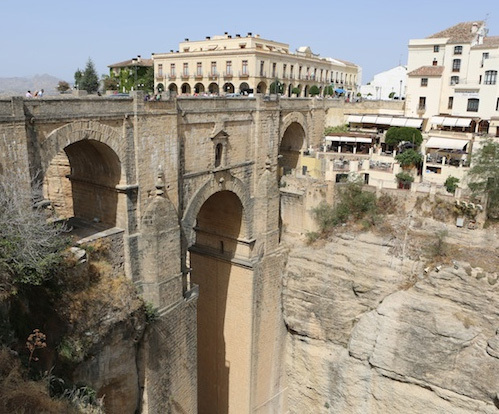 When we arrived in Ronda, I thought “what a marvellous town”. The town is situated 750 meters above the sea level. 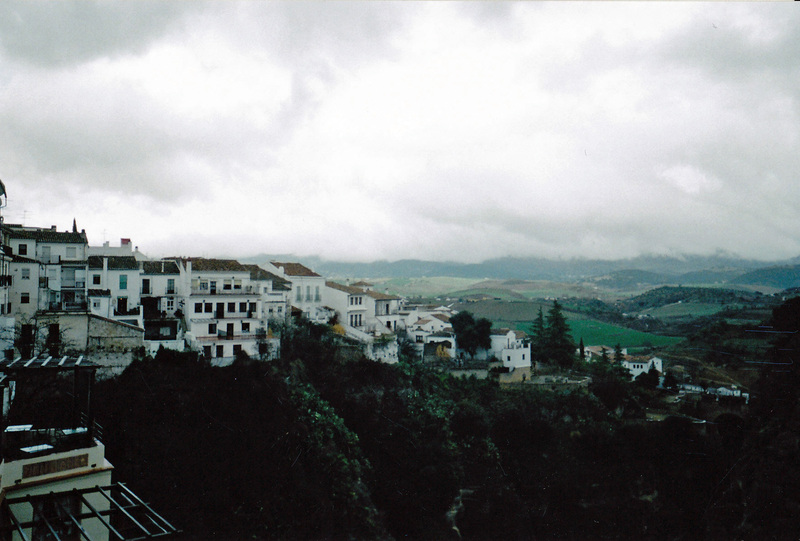 Ronda is the biggest of the Pueblos Blancos in Andalusia. These “white towns” are small towns from Malaga and Sevilla to Algeciras which are characterised by whitewashed walls and red tiled roofs. El Tajo canyon in Ronda is so amazing. Ronda was heavily affected by the Spanish Civil War. Chapter 10 of Hemingway’s “For Whom the Bell Tolls”, describing the 1936 execution of Fascist sympathisers in a fictional village who are thrown off a cliff, is considered to be modeled on actual events at the time in Ronda. 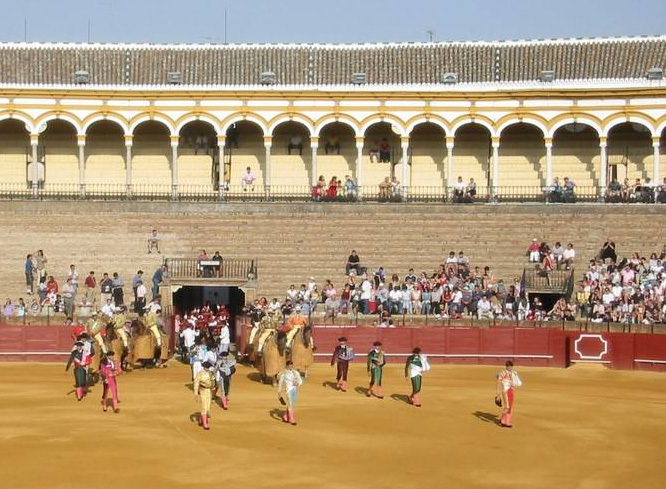 It is also said that modern bullfighting started in Ronda. We visited the restaurant of the Don Miguel Hotel. I can warmly recommend Don Miguel. Excellent food, kind service and awesome view towards El Tajo canyon. The prices are not as high as one would think. Soups start at 5.40€, fish at 12,50€ and the meat dishes at 11,50€. Three bridges, Puente Romano, Puente Viejo and Puente Nuevo span the canyon. The 120 meter deep canyon split Ronda in two. Therefore the architect José Martin de Aldehuda and the construction manager Juan Antonio Diaz Machuca decided to build a beautiful and strong bridge. The building of Puente Nuevo, the tallest of these three bridges, commenced in 1751. It took 42 years to complete. 50 workers died building the bridge. Beauty has its price.